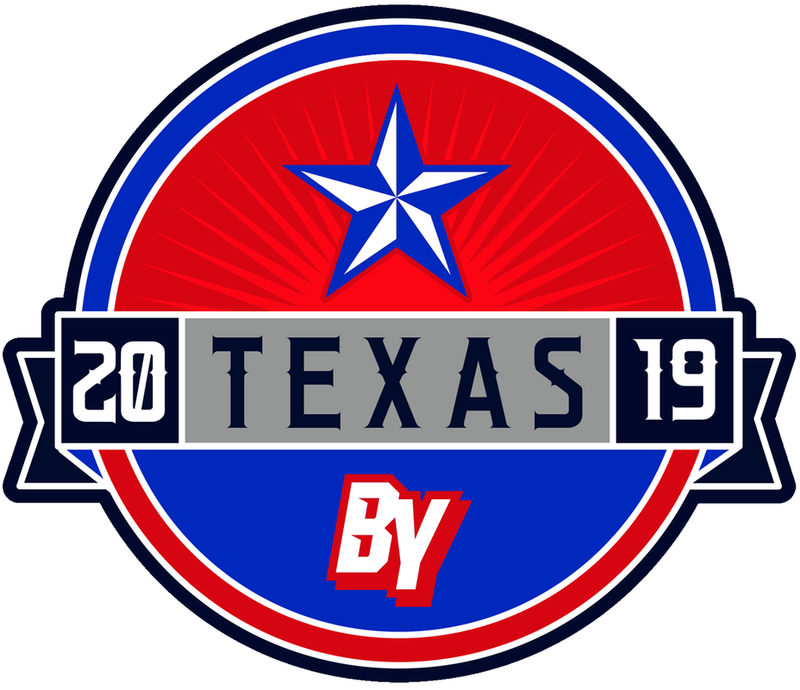 Redesigned patch for 2019 features the Lone Star of Texas. Unlike the other events where we went with an event-based design, we stayed with a general patriotic theme given the fact we went with a Texas flag theme at the Round Rock event. This design utilizes the Multi Cam camo pattern, and features the lone star of Texas in multiple instances. If used, this would be the first camo pattern used at an All-American event. Unlike the other events where we went with an event-based design, we stayed with a general patriotic theme given the fact we went with a Texas flag theme at the Round Rock event. This design utilizes the Multi Cam camo pattern more as an accessory to provide an alternate to Design 1a, and features the lone star of Texas in two placements on the front. If used, this would be the first camo pattern used at an All-American event. Unlike the other events where we went with an event-based design, we stayed with a general patriotic theme given the fact we went with a Texas flag theme at the Round Rock event. This design utilizes a 'HexaCam' camo pattern which is more subtle than the MultiCam. "Bomber Teeth" featured on the side have been used for decades on the nose of Air Force aircraft. A combat stencil font ties in the military theme. If used, this would be the first camo pattern used at an All-American event. Redesigned patch features the star used on the Reno city flag and used prominently in Las Vegas culture. Font used is also similar to that used in the Reno 'welcome' sign. 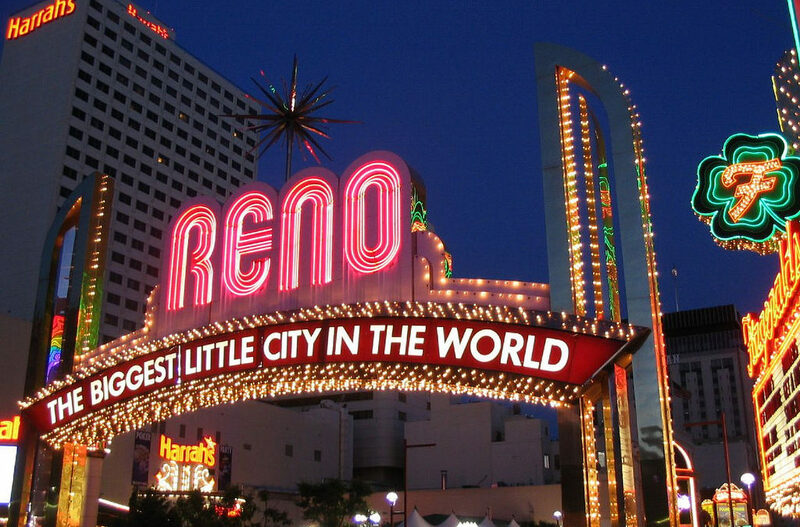 A similar font used as the font for all jerseys that is featured in Reno's world famous welcome sign. Star and Mountain elements from the Reno city flag used prevalently in jersey designs. 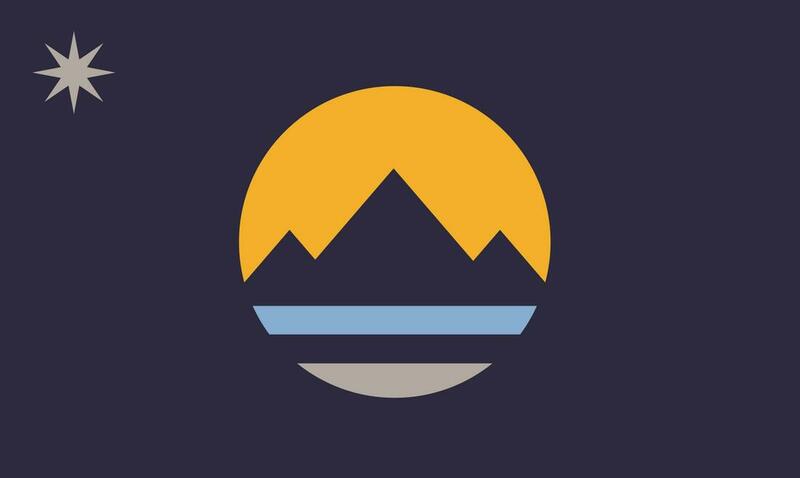 The exact mountain range from the Reno city flag featured behind the AA logo. This alternate features more of a throwback look (with v-neck collar) that is prevalently used by the state's ski resorts. State abbreviation, player name, and player number feature font similar to Reno's 'welcome' sign. Star from city's flag used behind the front state abbreviation. 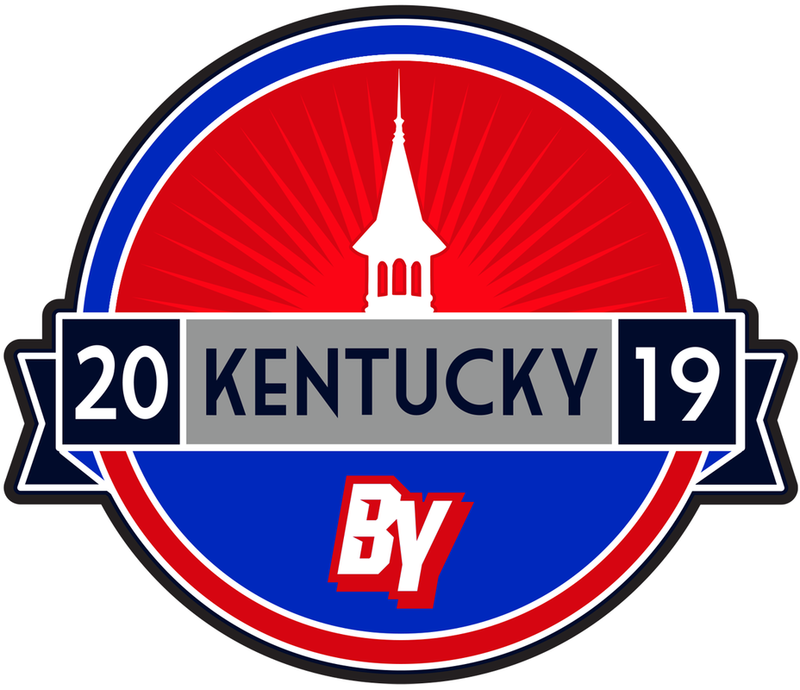 Redesigned 2019 patch features one of the spires from Churchill Downs, as well as an Art Deco inspired font prevalent in horse racing culture, invoking the horse racing heritage of Louisville and the state of Kentucky. Churchill Downs spires used in jersey and patch designs. Churchill Downs spire element used on front. Argyle pattern, which is prevalent in the use of horse jockey uniform design, used on sleeve. Art Deco-inspired font used as well to tie in the horse racing heritage of the city and state. Churchill Downs spire element used on front. Argyle pattern, which is prevalent in the use of horse jockey uniform design, used on sleeve used to tie in the horse racing heritage of the city and state. 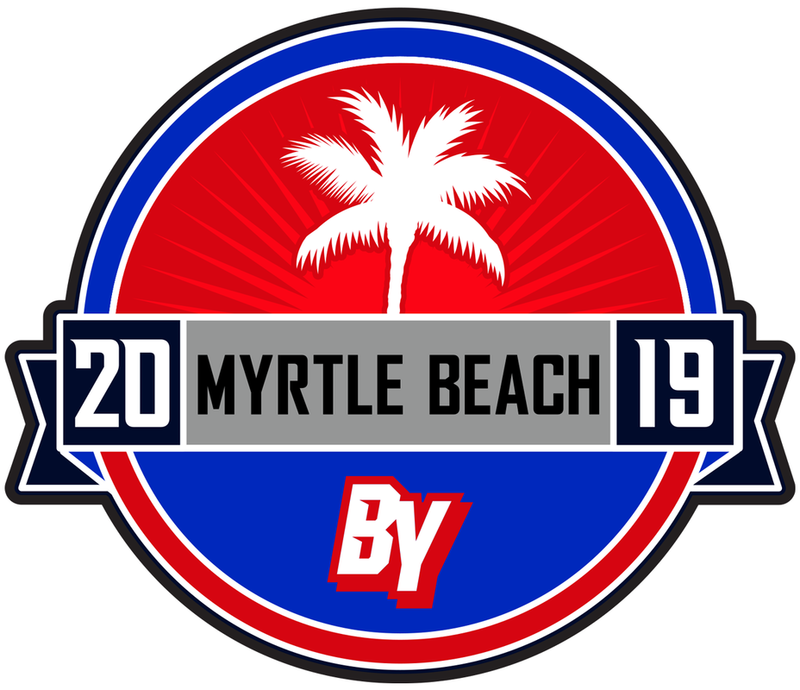 Redesigned patch for 2019 features a palm tree which heavily populates the local landscape, and invokes the coastal theme which Myrtle Beach is known for. This design removes the sleeve pattern but features a prominent coastal beach scene. 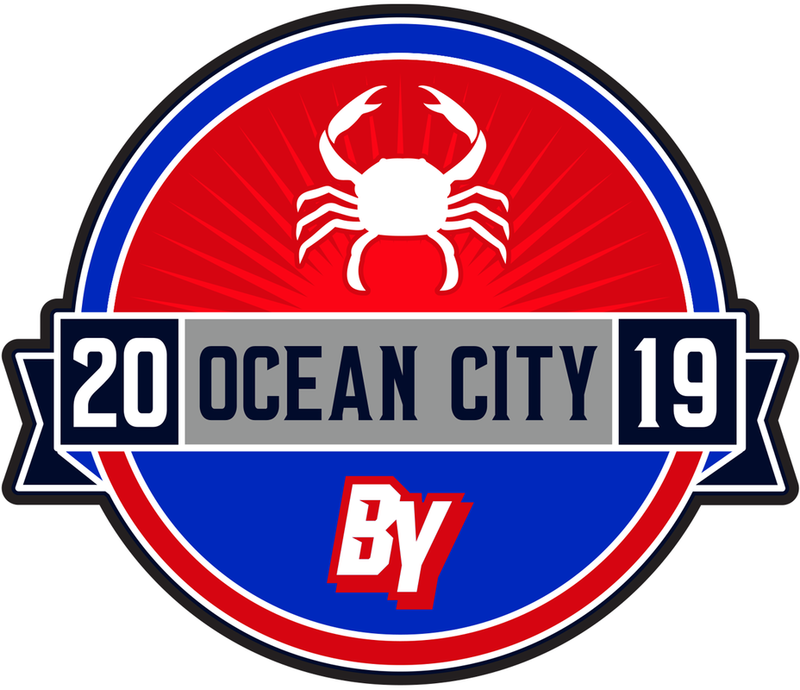 Redesigned patch for 2019 features a crab which plays off the importance of the seafood industry in the local area. The 17th century heraldic banner and shield from the coat of arms of the Calvert-Crossland families of Sir George Calvert, used as the Maryland state flag, are used prominently in the event's jersey designs. Design features the Maryland flag pattern on the sleeves in a monochrome colorway. The stripes of the USA flag are set softly in the background on the torso. Design features the Maryland flag pattern on the sleeves in a monochrome colorway on the sleeves and ribcage. Overall design is a play on popular throwback schemes and features a throwback font.